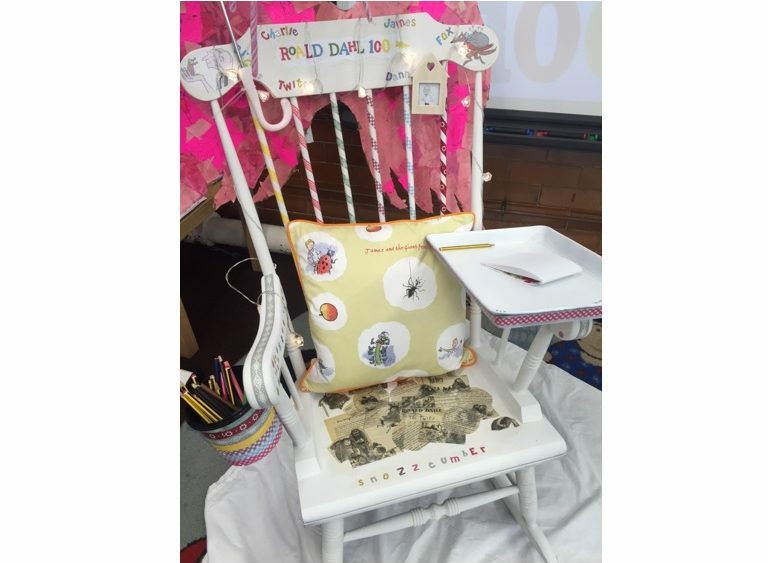 Thank you to all the children and schools who took part in The Really Rubbish competition to create a chair inspired by Roald Dahl. The Really Rubbish team really enjoyed looking at all your amazing chairs, and we hope you all enjoyed working on them. We are pleased to announce that the winning school was Tongwynlais Primary School. This Year 3 class upcycled an old, unwanted rocking chair and gave it many features including a writing table, pen pot, and an umbrella for when the children wanted to read outside. We were particularly impressed with the pages from an old Twits book (which already had missing pages), which were used to decorate the seat. Well done to all the schools who supplied entries and again many thanks for taking part in this Really Rubbish competition.